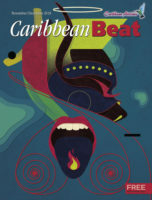 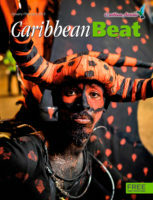 The Caribbean Arts Festival, Carifesta, was held in Trinidad and Tobago in August. 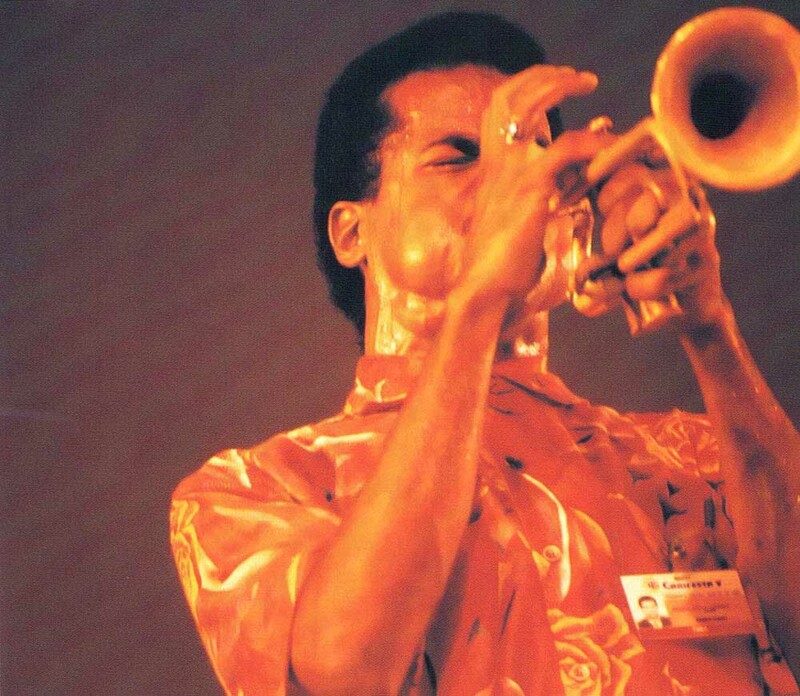 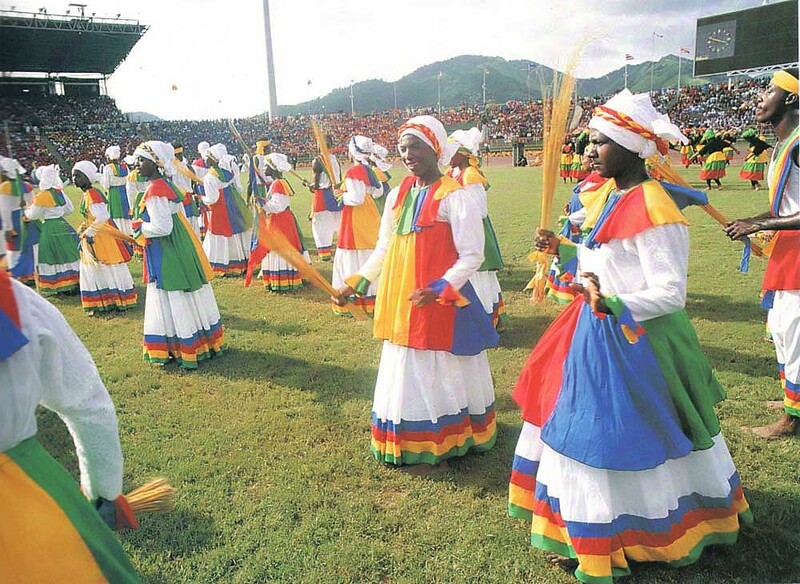 This was only the fifth festival in 20 years: the first was staged in Guyana in 1972, with subsequent festivals in Jamaica, Cuba and Barbados. 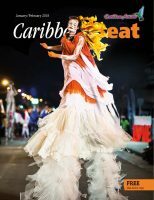 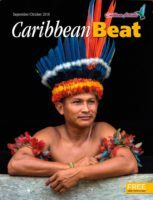 This time, for one action-packed week, artists from most of the Caribbean countries, plus delegations from as far afield as Britain, staged a massive display of Caribbean dance, music, painting, film, theatre, literature, folk traditions, sculpture and craft. 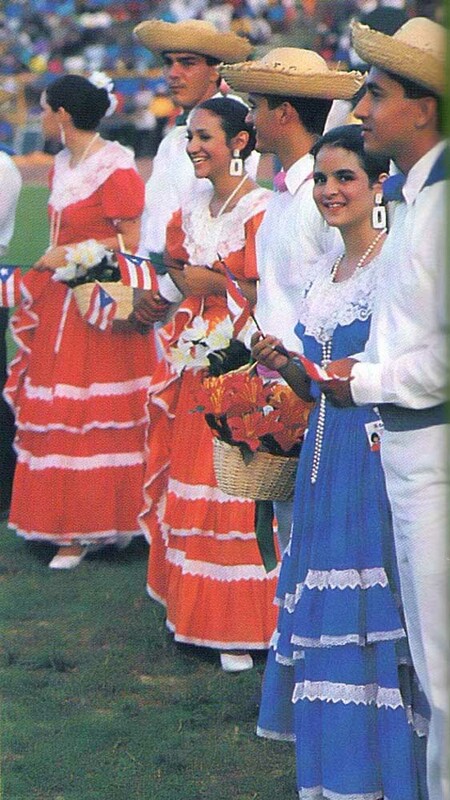 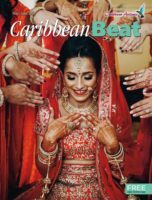 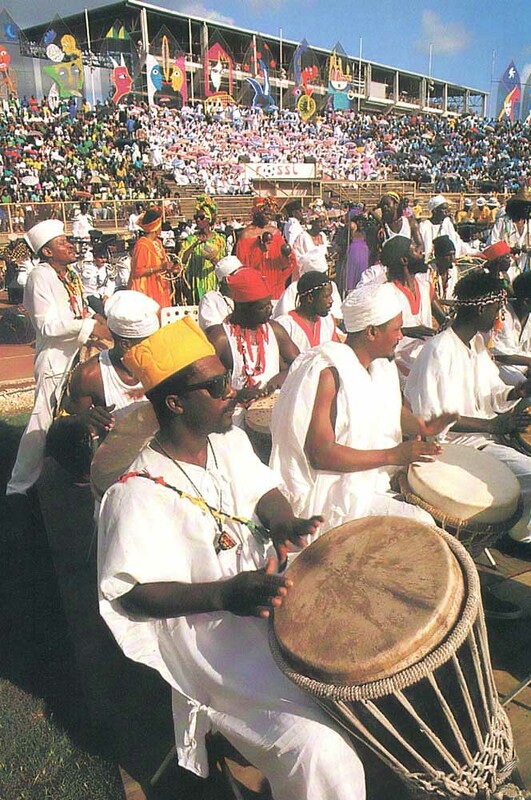 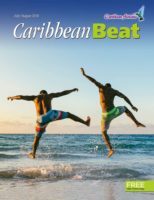 Events were spread throughout Trinidad and Tobago, with opening and closing galas at the National Stadium in Port of Spain, where there was also a Grand Market and a well- patronised traditional rum-shop with a constant flow of entertainment. 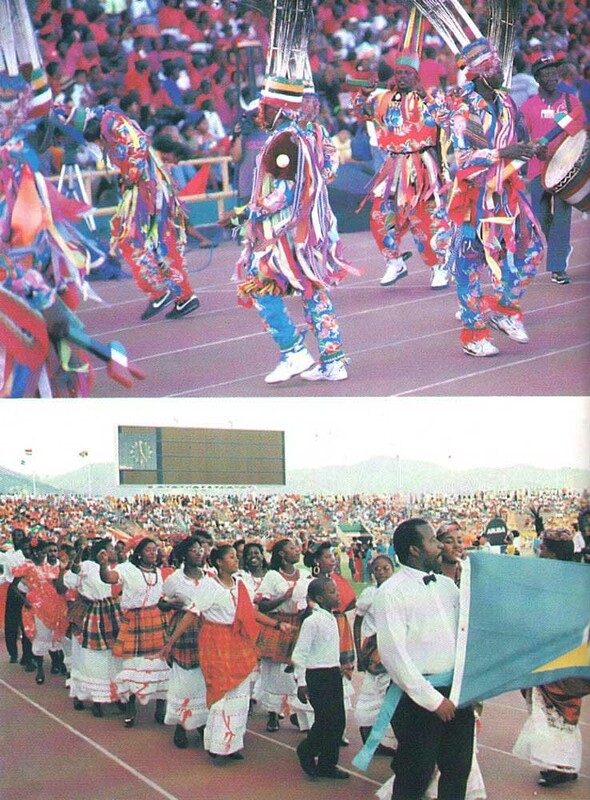 Singer Ella Andall and hundreds of traditional dancers entertained the huge crowd at the gala opening (photos by Harold Prieto). 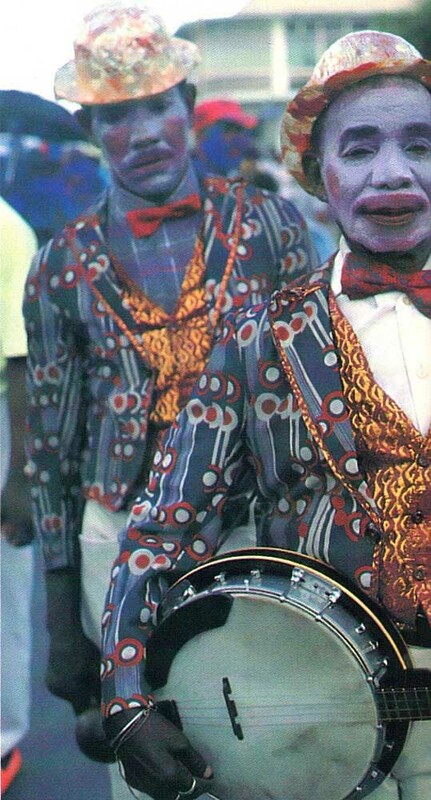 Dancers, drummers, musicians an traditional figures like the stiltmen were every where (photos by Harold Prieto). 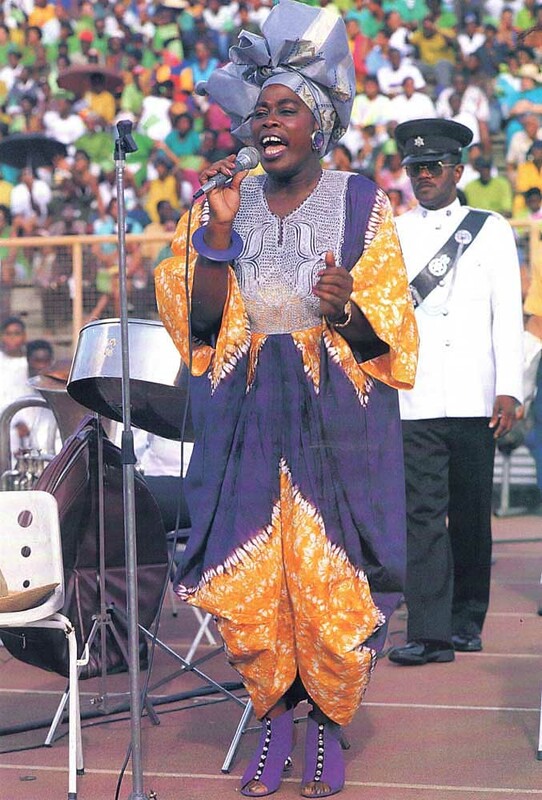 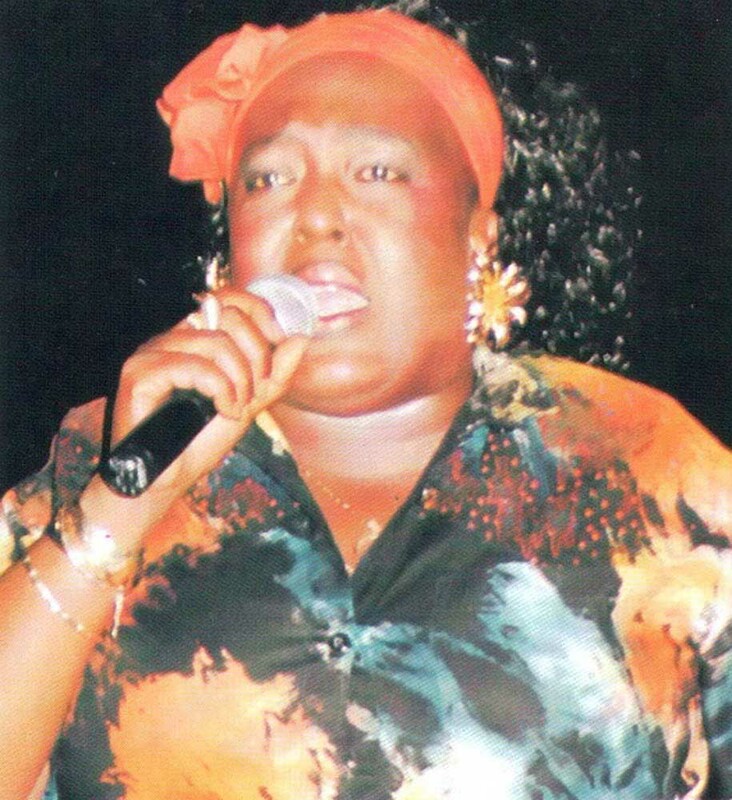 Calypsonian Singing Sandra won the Cattiest calypso crown (photo by Paul Marius), while raps artist Brother Resistance was one of scores of other top-ranking performers (photo by Abigail Hadeed). 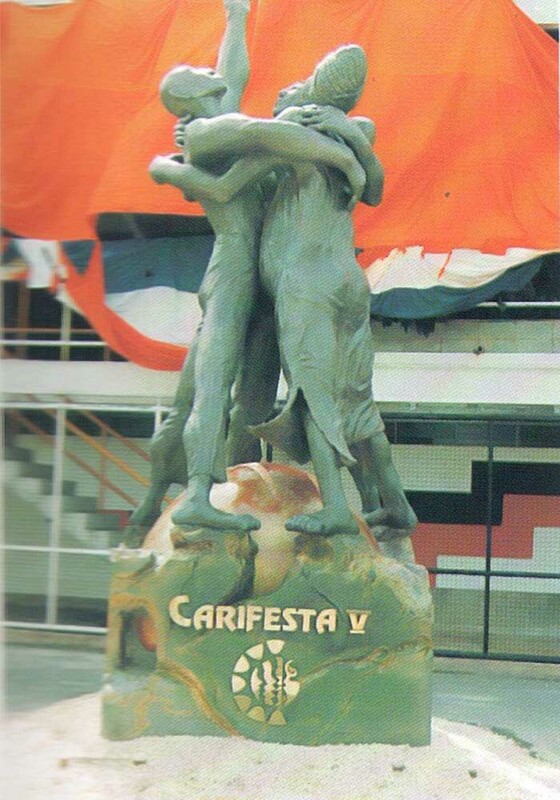 The Carifesta monument (Levée en Masse, by Trinidadian Selwyn Borneo), and thousands of faces embodied the vital spirit of the festival (photos by Paul Marius, Harold Prieto). 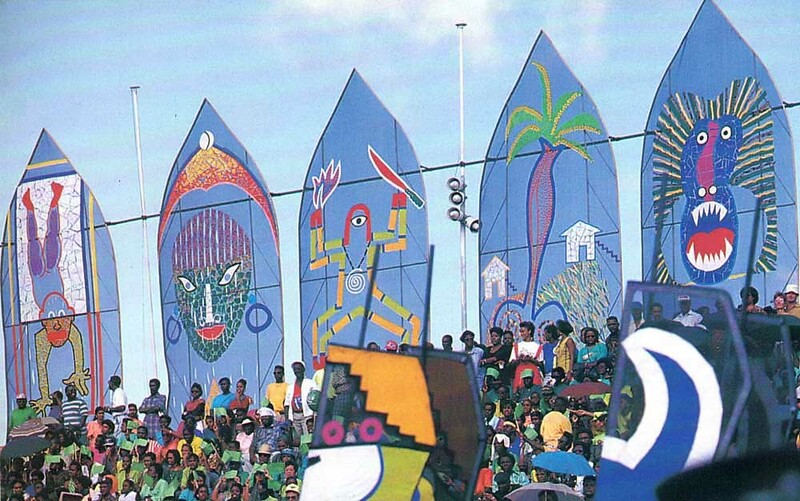 As they travelled down the road, giant panels by artist Steve Oudit overlooked Port of Spain’s National Stadium and provided a backdrop for artist from across the region. 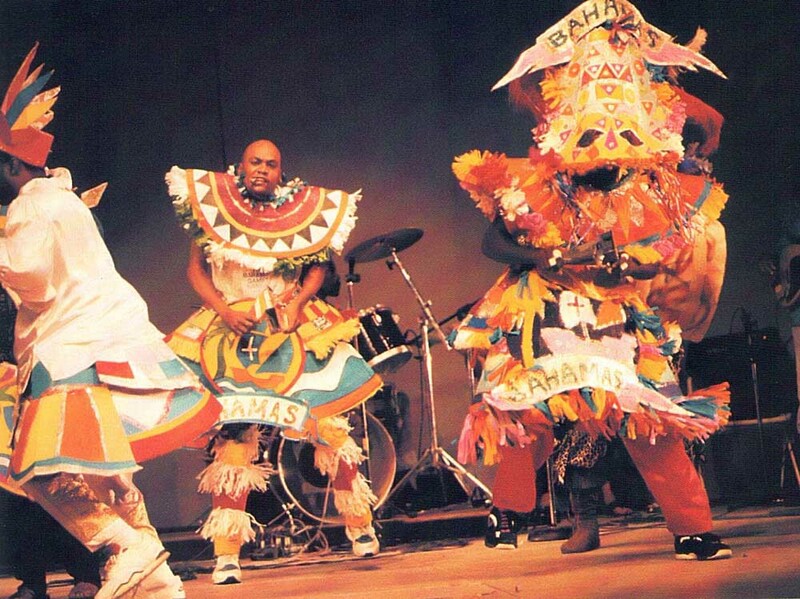 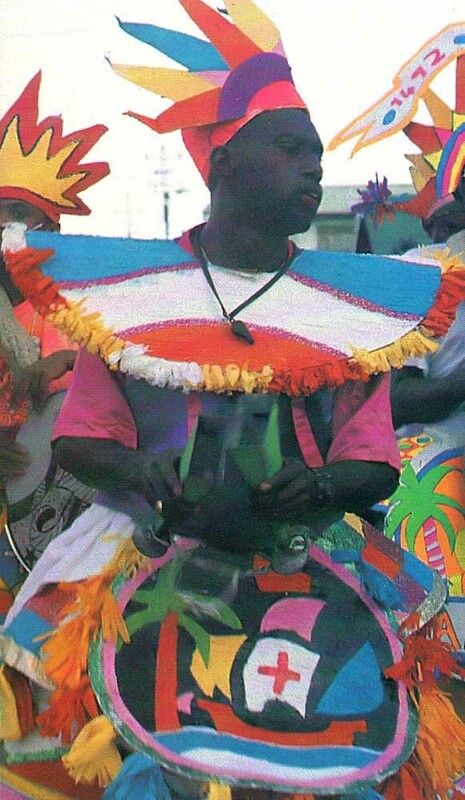 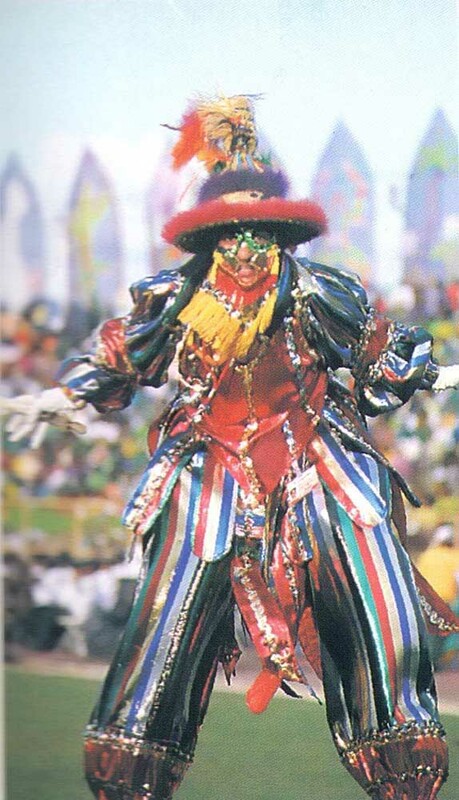 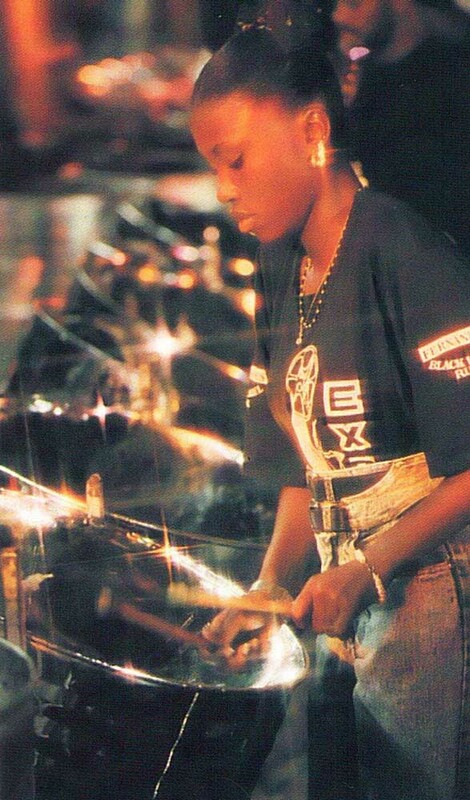 These included The Bahamas, St. Kitts-Nevis and St. Lucia, and traditional figures like the minstrels. 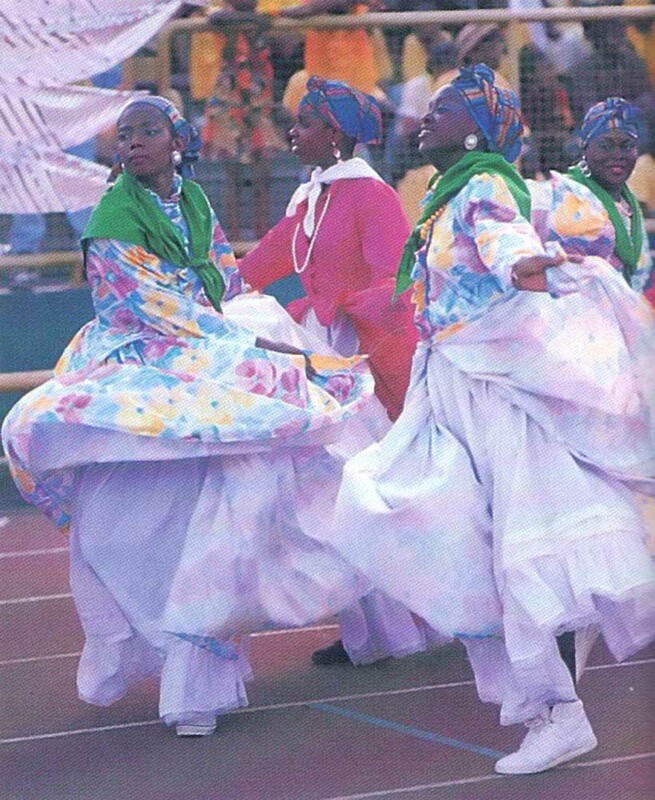 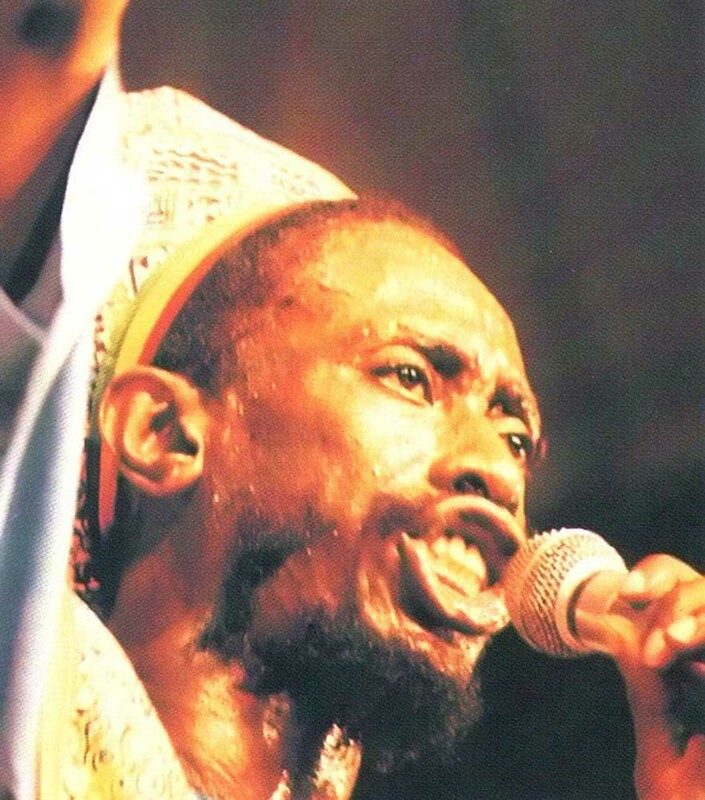 Among star performers were calypso grand master Lord Kitchener and Jamaica’s National Dance Theatre Company. 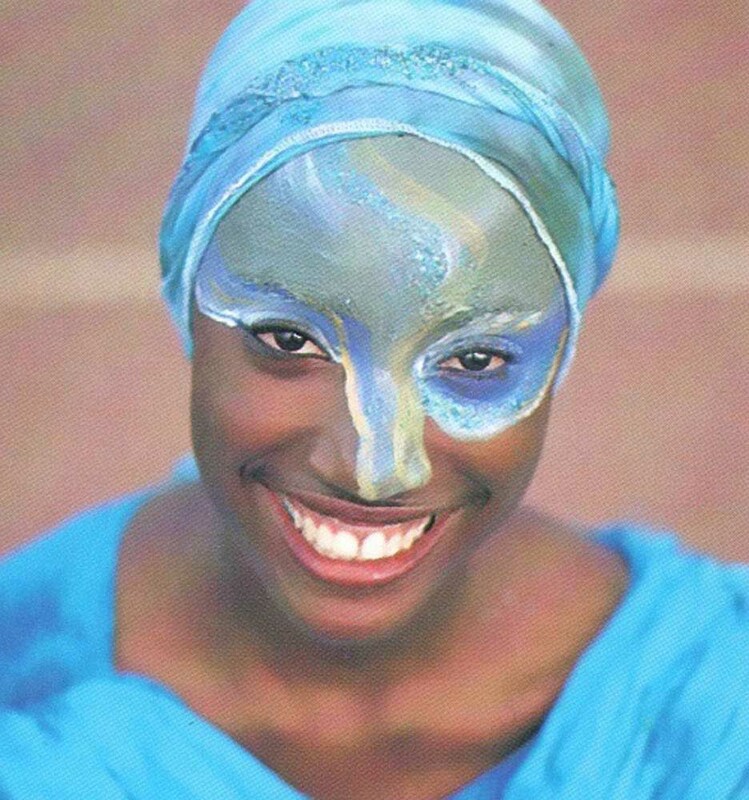 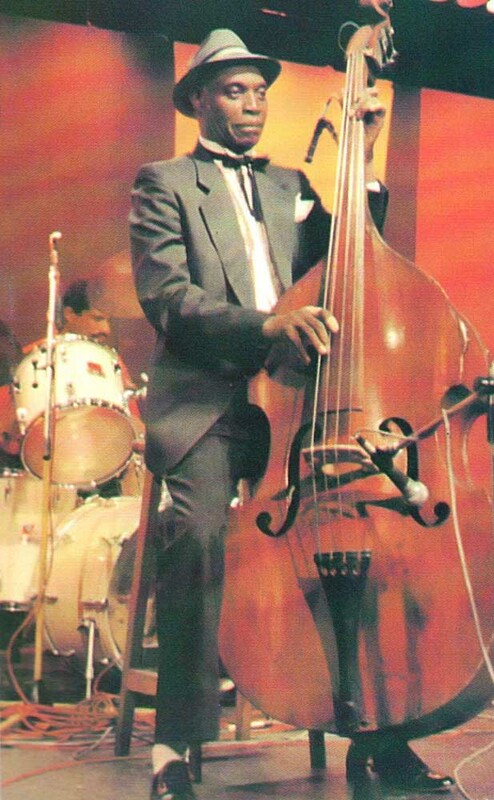 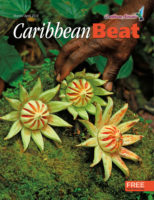 Photographs by Harold Prieto, Paul Marius (Kitchener, St. Lucia), and Abigail Hadeed (Bahamas, minstrels). 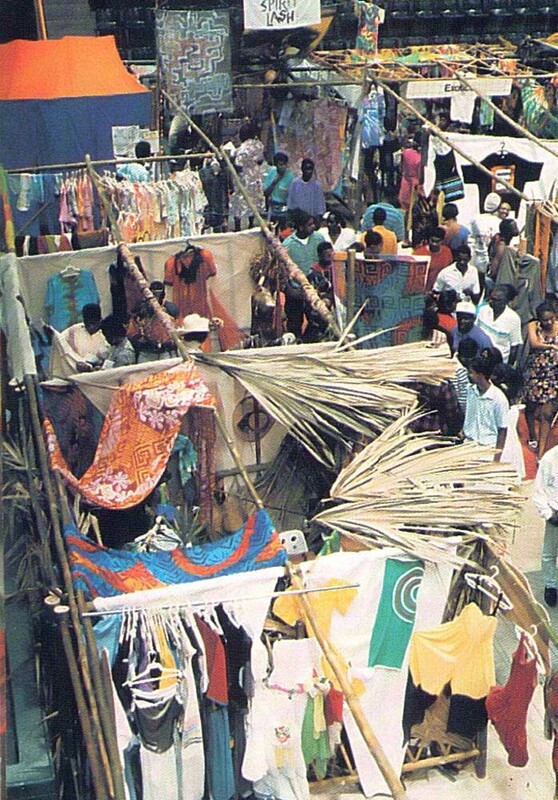 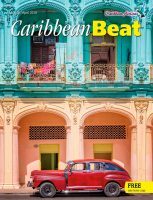 Bahamian Goombay, Trinidad and Tobago pan, Puerto Rican dance and Cuban jazz competed with attractions like the traditional rum shop and the Grand Market for that special Carifesta applause. 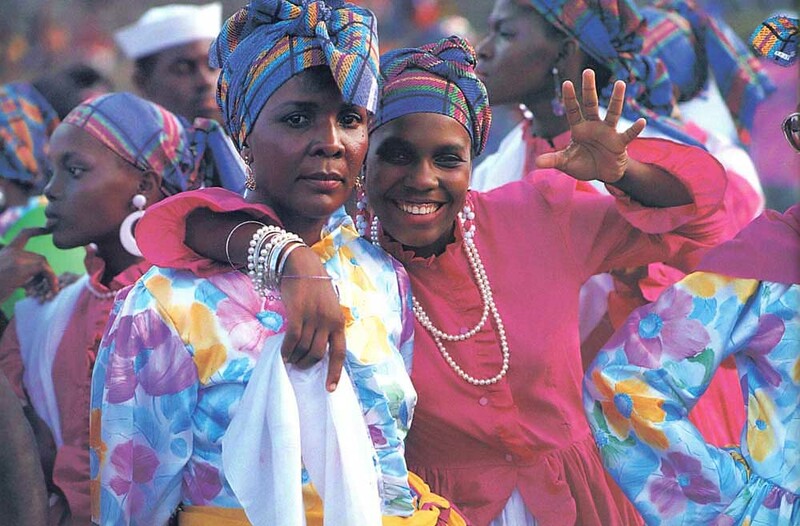 Photos by Harold Prieto and Abigail Hadeed (Cuba).